UrHappyBunnie: Urhappybunnie's Thank You Giveaway #1! This giveaway has been a long time coming. I've been planning to do a giveaway for a year now but I am finally am doing one! Yay! I have not been active on my blog for a really long while due to several things and even now that I am back it is not as regular as I hope to be but I really want to do this giveaway in order to show my appreciation to all those who have supported my blog. For my new followers, I am glad that you are part of this blog of mine and I hope that you enjoy my posts here as well. 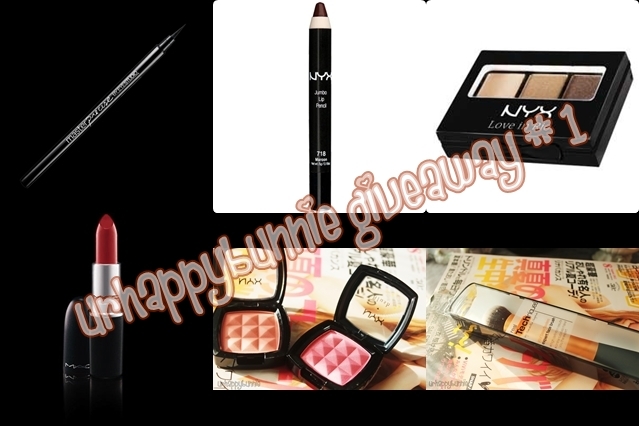 I am gonna run this giveaway for six weeks (extension depends on how many joins ^^). Very sad, I wanted to participate, but only applies to the U.S.